Tourists in Taiwan may consider Chiayi as a lesser known destination; on the contrary, it is actually a place to be experienced by travelers and adventurers. Explore the place and keep the good memories it brings, in time to come. Apart from just having knowledge about the place, it will also be a fun time for visitors. Renowned for being one of the most visited tourist attractions in Taiwan alongside Taroko Gorge and Sun Moon Lake, and with good reason. One of the major attractions that draws hundreds of thousands of tourists annually is the famed sunrise and the spectacular mountain views. Here you will also find great hotels offering state of the art amenities, western food and friendly English speaking staff. Alishan is famous for tea, large amount of Yoshino cherry trees and several other aboriginal products. One of the best things to do while vacationing in Chiayi is to see the sunrise in Alishan. You obviously have to wake up as early as 4:50am to catch stunning views of the Alishan sunrise. However, the timing varies throughout the year and most hotels have this posted at the front desk. One of the best places to catch spectacular views of the sunrise is Zhu Shan which is just about 30 minutes walking distance. The lower area of the viewing platform offers amazing, direct view of the sunrise. After the sunrise, head to the upper area for great views of the “sea of clouds”. Located within Alishan National Scenic Area, and considered one of Taiwan’s most beautiful spots, Alishan National Forest Recreation Area offers spectacular natural sceneries, precious ecosystems and enriched aboriginal cultures. The climate remains constant all year round thus making it an incredible spot for hiking in Taiwan. Though hiking here is not largely challenging but it is located in the mountains with plenty of steps. For hiking, we recommend the Er Yan Ping Mountain Trail. Some of the must see spots in Alishan include Sisters Lakes, Sacred Tree, Alishan Railway Station, which is made entirely of wood and much more. 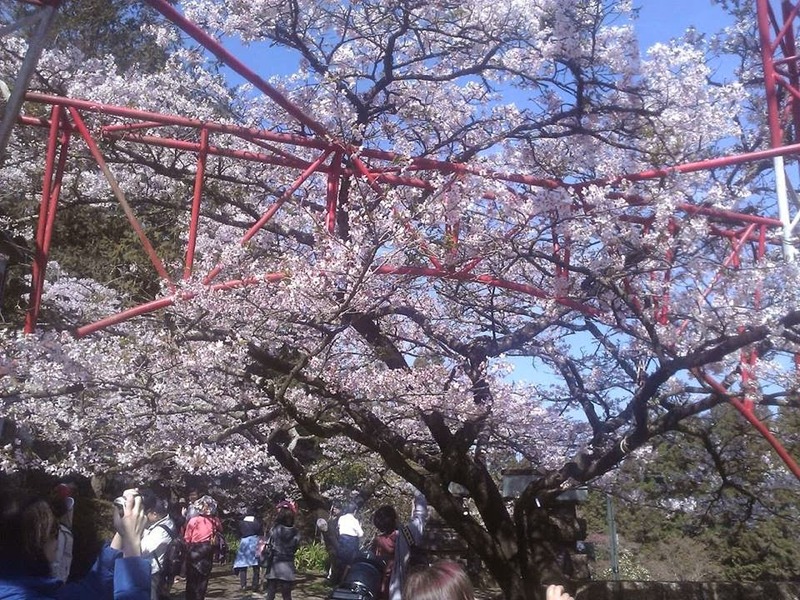 Beginning from March all through early April is the celebration of Alishan Cherry Blossom Festival which takes place every year at Alishan Forest Recreation Area. Here you will find several cherry tress including the Yoshino cherry tree, Formosan cherry tree, Fuji cherry tree, Yaezakura cherry tree amongst other. Of all these cherry trees in Alishan Forest recreation Area, Yoshino is considered the most popular with over 1,900 trees! Are you looking to learn more about the rich historical past of Taiwan? You should consider visiting Taiwan Times Village. This multi-million dollar attraction is a place to discover the history of Hakka, Minnan, aborigines, and veterans from China. Upon entering, you will be welcomed by a wedding parade group wearing colorful red clothes. As you go further in, there are other lovely people walking on the street including security operatives, villagers. Farmers and even beggars. Here you will see lots of aged Taiwanese visitors admiring and laughing about the posters, slogans and shop signs on the streets, which were thought to be extinct. Chiayi Tower, sometimes referred to as 射日塔 (Sun Shooting Tower) in Chinese, is one of the must visit sites in Taiwan. It has a height of about 62 meters. On entering, you’ll see a beautiful park and temple beautifully designed with two leopards. Chiayi Tower offers visitors the chance to catch stunning views that portrays the beauty of nature. It is a place to also experience serenity at its best. The view is simply amazing; as visitors will always hold on to the memory of it. Renowned for being the most representative new landmarks of Chiayi City and featuring very interesting design elements, Chiayi Tower is a spherical structure, adorned by the Bauhinia roof. To get the best view, climb up to the building’s 10th and 11th floors. Jade Mountain (玉山) is one of the best places to sightsee in Chiayi. One of the things to do here is climbing the mountain. The Jade Mountain is considered a popular attraction among hikers looking to get to the peak of the east mountain in East Asia. Standing at several thousand meters from ground level, Jade Mountain consists of 11 mountain peaks including South Peaks, North Peaks, North North Peaks, Front Peak and Main Peak which is considered the highest of them all standing at about 3953 meters. Climbing to the top of the mountain is fairly challenging but definitely worth trying regardless of your level of hiking experience. The Lantan Lake is one of the spots that will bring visitors with a lot of surprises as a result of its weird environment. Lantan Lake is accessible by foot and it can take about 25 minutes’ walk to get there. The place is surrounded by trails and can be easily located. It has a pavilion that is often called the Sansin Pavilion. The Lake is a really peaceful place for relaxation as it is in a secluded area from the city. The Lantan Lake is located in the East District of the city and is considered both a lake and reservoir. Legends has it that the lake was dug by the Dutch over 300 years ago during the Dutch Formosa, and is sometimes referred to as Hong-Mao Pei, Dutch Lake and Holland Lake. The reservoir which serves as the main water source of Chiayi City can accommodate 9,790,000 m3 of water. Taiwan is home to several amazing parks. Located at the foot of Chiayi Tower in the centre of the city, Chiayi Park is one of the most visited attractions in the city. Pay a visit to the Chiayi Park and spend some time to relax. After exploring the park, you can cool off with a cup of drink or even enjoy lunch from the local restaurant located within the park. Here, you will have the opportunity of meeting locals and making new friends, as thousands of locals and tourists alike visit annually. Covering an area of 268,000 sq. m, Chiayi Park is home to beautiful pergolas, fishponds, old trees, serene walking paths and much more. Offering a spectacular scenery, the park houses some of the significant landmarks in the city such as The Historic Archives Building of Chiayi City, Sun-Shooting Tower, Confucian temple, Fu Kang An Monument, Ping Wu Earthquake Monument, and the national treasure Alishan steam engines, thus making it one of the city’s recreational facilities. Siraya National Scenic Area is one of the newest national scenic areas in Taiwan located in the southern county of Tainan. Covering a massive space of 88,070 hectares of dry land and 3,380 hectares of water, this attraction got its name from the low land aboriginal tribe dwelling here. One of the best ways of touring this impressive Siraya National Scenic Area is driving. This is the only viable option to get the most of your trip here and on your own schedule. Established in 2005, the new national scenic area is famous for its mountain and water scenery.